Some studies show that every 100 grams of citronella contains up to 24,205 micrograms of beta-carotene - powerful antioxidants that can help prevent cancer. tea from lemongrass and citronella (can drink 3-4 drops with cool boiled water) Use to support poor digestion, eat slowly digestion, bloating, nausea, vomiting, or moderate irritation, stomach pain, heat, intestinal spasms, diarrhea. Lemongrass essential oil also helps reduce gas problems in the body because of the ability to relax stomach muscles. It not only helps remove gas from the intestine, but also prevents flatulence. Stimulating digestion, eliminating bad breath, sputum consumption. Take 3-6 drops of essential oil to cure flatulence. Note that constipation with fever does not use citronella, not for children under 1 year of age, not sharp. Fresh citronella 30 - 50 grams boil, add sugar sweet enough, drink hot 2-3 times a day. Use cure for multiples, stomach pain, vomiting, fever, alcohol poisoning. Daily dose of 6 - 12 grams. Tubers 12g lemongrass, dried mandarin bark 12g, 12g guava buds, 20g bear tubers, fresh ginger 3 slices. Pour 2 bowls of water and 1 hot bowl (children are divided into 2-3 times). If not, add 15g of perilla, very effective. (According to the people, Culture and art of eating). Lemongrass also works to detoxify the body by increasing the number and frequency of urination (catheterization). This helps the liver, gastrointestinal tract, pancreas, kidneys and bladder to be clean and healthy by supporting the body to remove unwanted toxins and uric acid. Especially lemongrass detoxification very quickly, you can use 1 bunch of pounded lemongrass, filtered water, and take 1 cup. Heavy drinkers will quickly awake and relieve fatigue, relieve headache. Supplementing the essence with citronella will be effective in lowering blood pressure. It increases blood circulation and helps alleviate all blood pressure problems. Drinking a glass of citronella juice can significantly lower blood pressure. The lemongrass essence reduces all kinds of inflammation and aches and pains. So if you have toothache, muscle pain, joint pain or pain in other parts, drink citronella tea as it will definitely be helpful to you. According to Oriental medicine, the lemongrass, aroma, warmness, has the effect of sweating, urinating and digesting. Lemongrass is an indispensable ingredient in the cosmetic industry because it has many benefits for the skin. Lemongrass essential oil improves skin quality such as reducing acne and pimples. It also works to firm the muscles and tissues in the body. 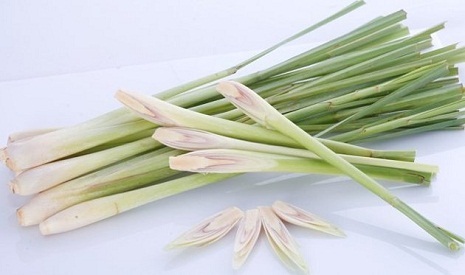 Besides, lemongrass is also effective in repelling flies, mosquitoes, insects, eliminating the smell of malignant, places contaminated with toxic and antiseptic environments. Lemongrass essential oil is also used as a mosquito repellent. 1. Sympathy: Lemongrass leaves with some leaves such as marjoram, perilla, juniper, mint, lemon, mugwort, bamboo leaves, guava leaves (each pot uses 5 types leaves) ... boiled, used to make the river feel very effective. 2. Cure colds and flu: On using 15 to 30 grams of fresh roots or leaves to cook sauces. 3. Treatment of headache: Lemongrass leaves, perilla leaves, marjoram leaves, wormwood leaves, 3-4 more garlic, (lack of one thing is not possible), cooking sauces. Or lemongrass leaves, bamboo leaves, grapefruit leaves, (or lime leaves), perilla leaves, guava leaves, steamed water, before the river should scoop up a cup to separate, then finish drinking and then covering up the blanket for a while will help ( traditional medicine). 4. Ripe lemongrass, rubbing indigo face. 5. Treat pimples: Cook water with lemongrass leaves every day.